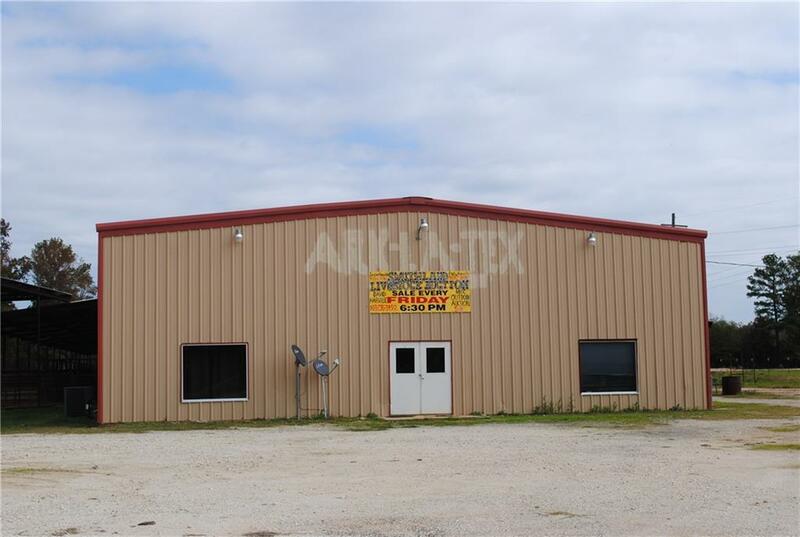 Livestock Sale Barn For Sale located just 15 miles East of Jefferson Texas on State Highway 43 S in Marion County. 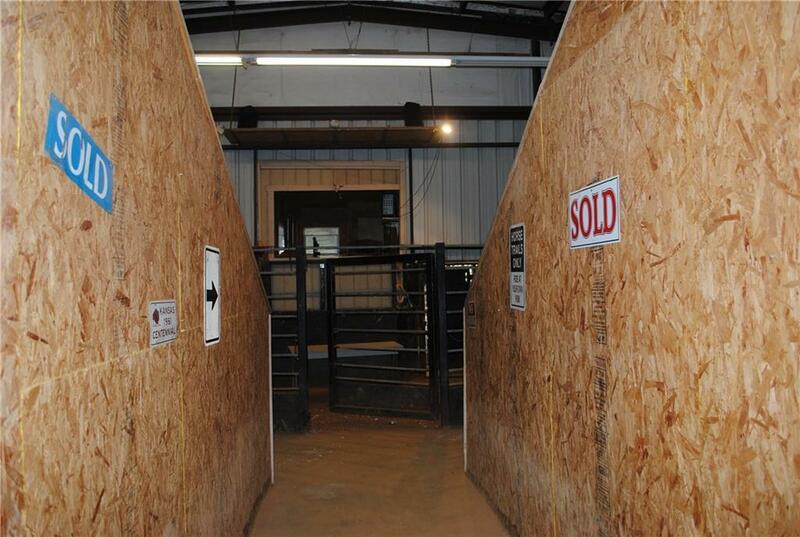 The sale barn is approximately 3,600 sq ft and sits on 19.6 acres. The building sales area is 60'x60'. There is a large office area with private restroom, 2 restrooms for public use, 3 large storage rooms. 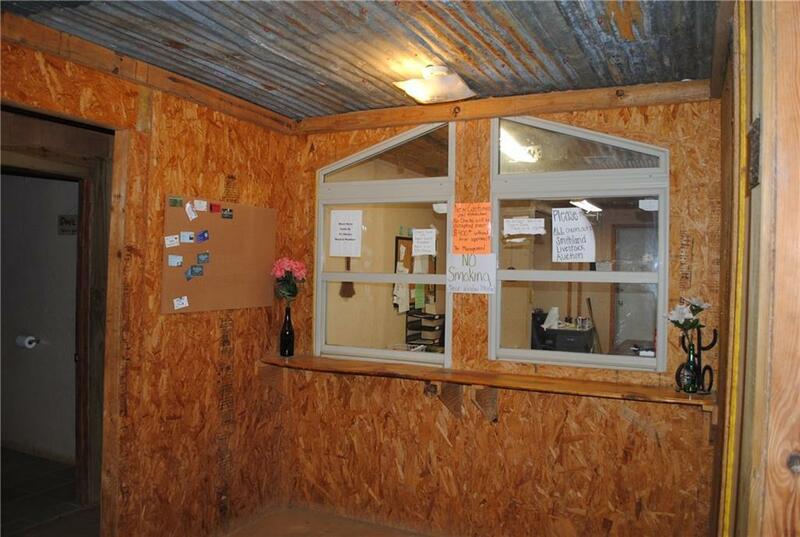 There is an unfinished area that could be used as additional office space or converted into an efficiency apartment. The main sale ring area has stadium leveling seating with central heat and air conditioning. There is a cafe area at the top of the stadium seating. 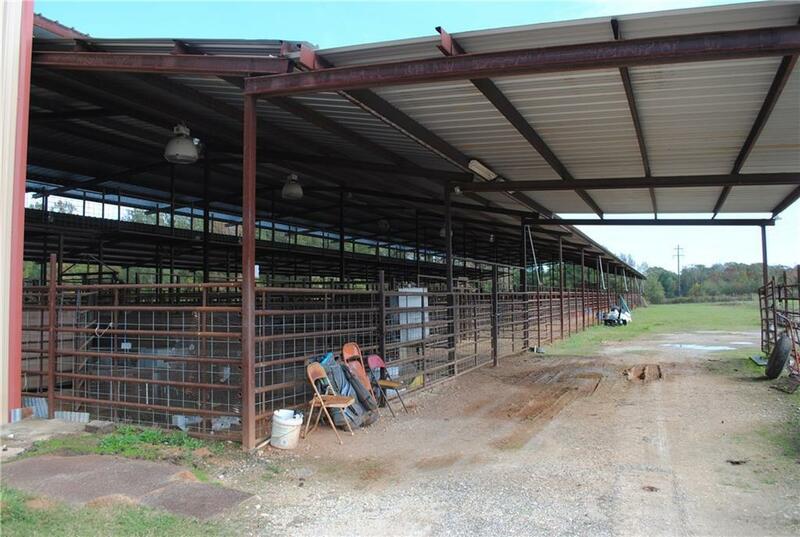 The livestock holding area is approximately 100'x300' covered and has good loading and unloading areas, 42 pipe holding pens. Offered by Katherine Tosh of East Tx Lifestyle Properties.